Arizona. 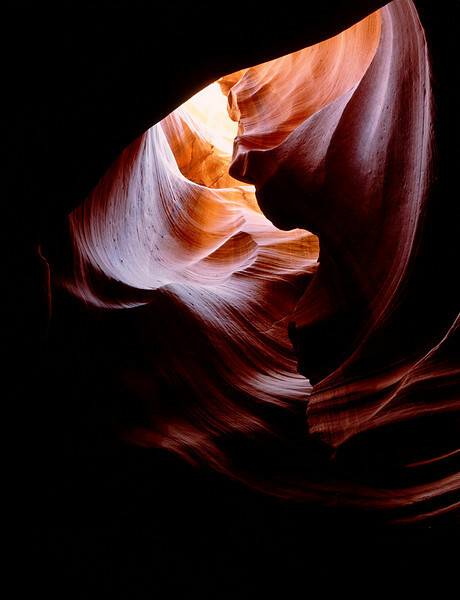 Looking more like a person's profile than a random rock formation, the water-carved gap here in Upper Antelope Canyon takes the light and gives us a surprising image which eerily resembles a shrouded head. To 52" on the long side. Click on this preview image for a full-screen view.